To become a millionaire, you have to think like one. The Millionaire Mind shows you how. Who are the rich in this country? What do they do? How do they invest? How did they get rich? Can you ever become one of them? 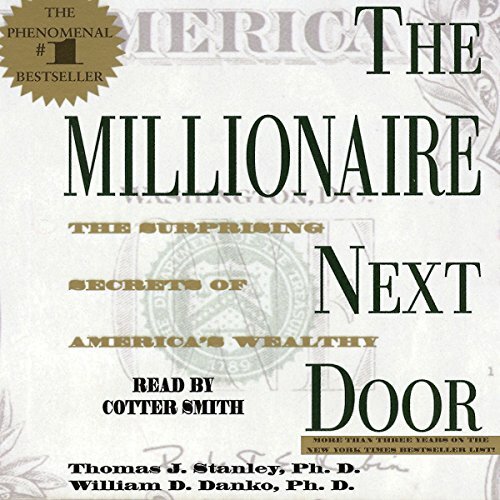 Get the answers in The Millionaire Next Door, the never-before-told story about wealth in America. You'll be surprised by what you find out. Sobering read in todays instant gratification world. The chapters in this book will shift most peoples paradigms on wealth and its accumulation. The book provides a sages worth of attitude changing insights into why individuals need to be more conscious of money management. It indirectly also provides hope that with the right money and investment attitude, regardless of the level of current income, one can make steady progress towards a significantly improved financial position over the long run. 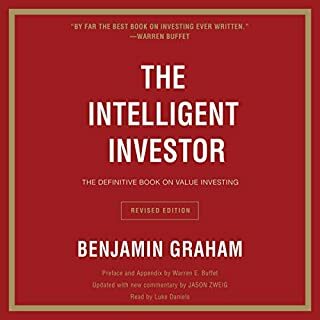 I have listened to many wealth books and found this one quite different and very, very interesting. For example there was a section about how children of the wealthy can be inspired to be independent rather than just spend their parents' money. There was also insightful information about inheritance. Although the book is American and a little old now, I believe these principles still hold. I did not expected to enjoy this book, but I did. I could not believe when the audiobook came to an end, I was so engaged. I would very much recommend this book. 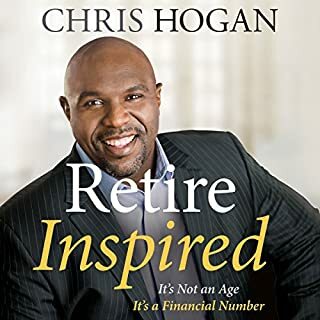 I would say a must for parents who have adult children they are supporting, or those considering how to pass on their wealth to their offspring in the future. Would you listen to The Millionaire Next Door again? Why? Yes, it's fundamental message is built on upon long-term financial success, recognising what millionaire really is and it is not a yacht. My interpretation of this book is that it will help you identify what is good for you in the long-term, even in the mind-set and education of your children. It's based upon real life examples, and true advice. I recommend this book, but don't expect it to tell you to buy a Bugatti, because it certainly will not! It is simple book which will help you with purchases, independence, saving, investing & mind-set around money. 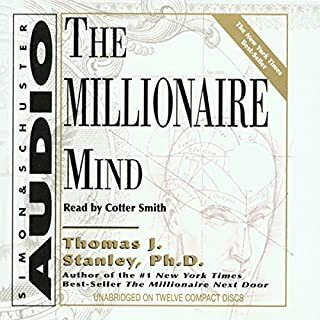 What other book might you compare The Millionaire Next Door to, and why? 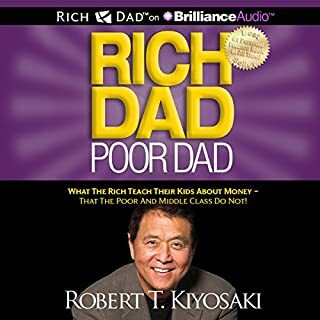 Rich Dad, Poor Dad as it educates you on similar subjects such as Assets & Liabilities and sometimes our own enthusiasm to purchase the bigger, flasher things in life often hinder our opportunity to be financially free. My favourite line: Int: "What is your favourite charity to donate to?" Millionaire: "I am my favourite charity." You buy flashy things for yourself, but really it is for others. This book is a hearty dish of reality. There is no hairy fairness, although I am a big fan of the self help section, it will give you an honest reflection on the types of wealthy people, their purchasing and investing strategies. The two authors have done vast amounts of thoughtful research into the spending patterns of affluent Americans, and the book often sounds like a market research report. This does not mean that it is not a fascinating piece of work, though I imagine it will not appeal to everyone. Thomas Stanley and William Danko set out a clear definition and analysis of what wealthy means, in their eyes. Their ‘wealth equation’ - age*gross annual income /10 - allows the authors to calculate an 'expected net worth' for individuals and thus determine whether a person is an accumulator (net worth > than estimate) or a spender (net worth < than estimate). They then compare the extremes, 'Prodigious Accumulators of Wealth' (PAWs) with ‘Under Accumulators of Wealth' (UAWs). This is in itself and insight. The key to being ‘rich’ (under their definition) is to live substantially below your means. In their world, PAWs are rich (even if they only have a net worth of $400k) and UAWs are poor even if they live the high life, subsidised by their parents or credit. This is actually more philosophical than financial – frugal PAWs feel financially secure and have the confidence that comes from being 'self-made', spendthrift UAWs worry about money and their old age. It’s very Mr Micawber: spend 19 pounds, 19 shillings and six pence, result happiness (though Micawber’s formula implies a surplus of 1/40 or 2.5%, S&D suggest you should aim for 10% or more). Stanley and Danko have also observed and then thought deeply about how the financial attitudes and behaviors of parents impact on their children. Many PAWs get it right by instilling the correct values of frugality and independence in their children. They help them with education and perhaps a house purchase or business investment, but they do not push cash gifts on their adult children. Unwise PAW parents use their wealth to cosset and/or control their children, while UAWs instill their spendthrift ways in their own offspring. 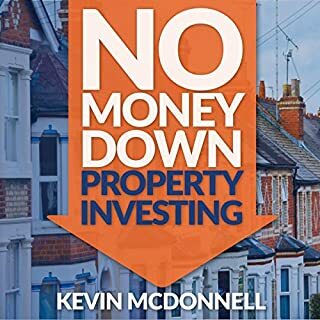 Americans seem to think and talk more freely about money than we do in the UK, and the book is very US orientated, but I found it really useful to help me position myself in this domain. Obviously, the ideal is some Aristotelian virtuous median, to be neither a tight-wad, nor a spendthrift. 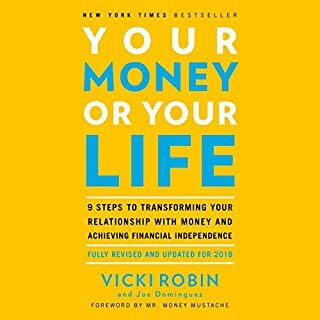 This book will have a permanent impact on the way I handle the transfer of wealth to my own kids; I am going to spend more on myself (and my hardworking frugal husband) convinced that their independence is more valuable to our children than free cash. 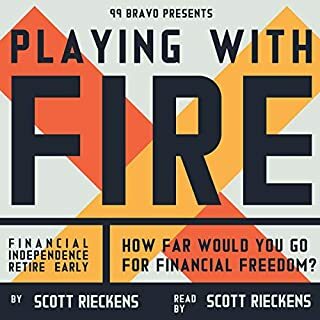 A must listen book about personal finance . Much of today's personal finance writing has been inspired by the findings from the studies discussed in this publication . 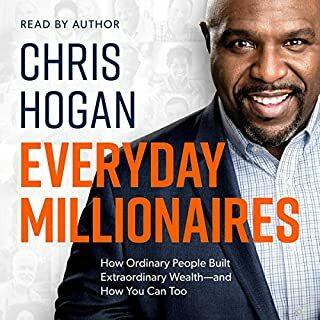 Everyone will learn something about personal finances and importantly themselves in the stories told in The Millionare Next Door . Learned a lot from reading this book. Will definitely recommend to my colleagues and friends. I’ve read a lot of books like this and this is by far the best. I’ve been recommending it to everyone. Full of wisdom, very engaging and tips for the future generation. I have always tried to become rich so I could drive a great car. This book makes it simple. The extra $10k I might spend on a luxury import will translate into $100k less I'll have 15 years from now. Yeah, I get it now. I thought that because I ran out of money at the end of the month that I must be saving as much as I could afford at the beginning of the month. Truth is, I am spending whatever is left. Simply put more away and I will be in the same position at the end of the month, penniless but with a higher net worth. Finally, I learned that the govt taxes earnings and not necessarily net worth. Once I calculated that I was really paying 40% of my net worth in income taxes, it became painfully obvious that simply increasing my net worth contributions will automatically reduce my income taxes and therefore burn down this 40% ratio from both ends. I guess I always knew all this, but apparently I needed this great book to tell me knowing but not doing is just as bad as not knowing at all. So if you say to yourself,'I already know most of this stuff', then look around and ask yourself 'Am I the Millionaire Next Door?'. 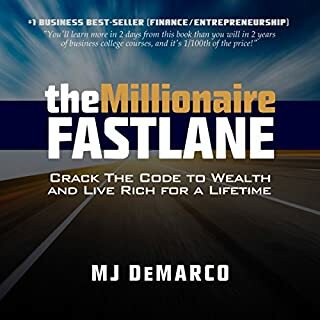 What's so interesting about this book is that unlike the "Rich Dad, Poor Dad" and overnight millionaire books that deluge the market, it's based on good research and interviews. This will not tell you how to flip properties or find probated estates. It will tell you how to model the behaviors of people who have been in the same situation you find yourself in and have had the same success you want. Really well done in both content and narration. What an incredible book full of insights that are based on sound research. Thomas Stanley, and William Danko, have really hit a home run with this book. Best of all, there is no prieching, just what they learned from their research about how real millionaires live. This book serves as a reality check for many I am sure. A good place to start but watch out! 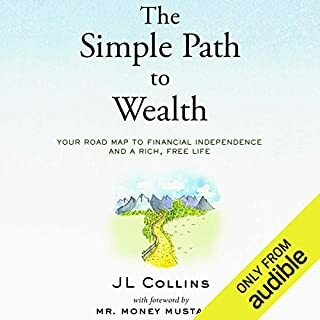 If you wish to retire as a paper millionaire, the basic advice presented in this book is sound, particularly if you happen to have disposable income. Careful planning, living below one's means, adequate income and proper investing can lead to economic self sufficiency. The book provides many examples of folks who did, indeed find financial success. But there are issues with some of the advice the authors provide. Single minded dedication to amassing wealth is often penny wise and pound foolish. Living in better neighborhoods might be more expensive, but they are often safer, provide better schools, and may generally provide a better investment in real estate. Saving money by not going on vacation deprives both you and your children potentially life changing experiences. Hoarding money by not giving to charity, or even your own children, does it's own kind of spiritual damage. The sections involving children are especially worrisome. 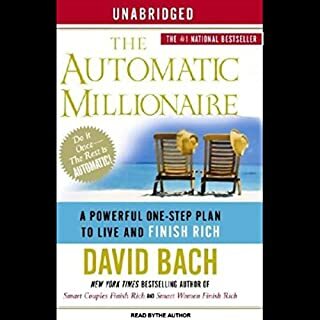 If one follows the advice in this book religiously, a first generation millionaire family will likely end up a third generation pauper. It is important to teach children self sufficiency, but it is equally, if not more important, to teach one's children to manage million dollar investment portfolios, and to make informed decisions on budgeting and allocations of large amounts of money. After all, a wise person would not leave a large financial legacy without the tools to use it properly. The generation of wealth is not a goal in itself. In one example presented in the book, a woman expressed the goal to retire with five million dollars. Yet in the process of doing so, they live like paupers. This woman might never see retirement, might never enjoy all that money she carefully hoarded, might forever miss out on the joys and experiences that wealth can provide. Save for retirement of course, but never forget that we only get one life. And in the end, that's where this book fails. Truly wealthy people certainly plan for the future, invest properly, and save much of their income. Yet they also try to enjoy the fruits of their labor, and they share their wealth as much as possible. 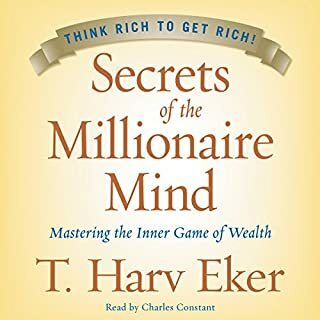 If you are not a millionaire but want to be, read this book. 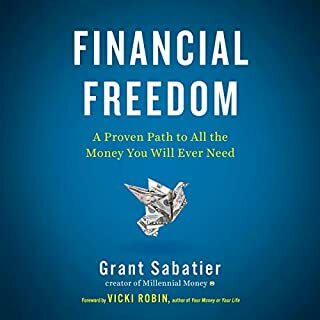 It's much of what your upper middle class parents should have taught you, but it's not everything, If money is all you care about, you will do well to follow the advice in this book. Yet if you wish to lead a rich life, the kind of life full of experiences and learning and yes, even of civil responsibility, you will do well to moderate your zeal of living the frugal life outlined in this book. 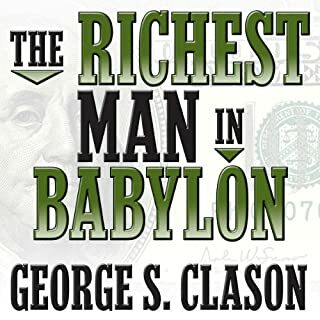 The overall message in the book is this: if you practice old-fashioned thrift, if you make saving as much a part of your life as spending, if you take the time to learn how to invest, and if you think in terms of wealth (that is, net worth) rather than income, then you, too, can join the ranks of the millionaires next door. This comes from studies of real millionaires -- not the multi-billionaires of the world, but average Joes and Janes who, at retirement, are worth several million, even though they earned modest incomes during their working years. The book uses data from the study to point to the best saving and spending practices. The unabridged book does get a bit repetitive, and the reader's slightly monotone voice doesn't help matters. However, repetition of information turned out to be an advantage while listening in the car, since I couldn't always give the book my full attention. 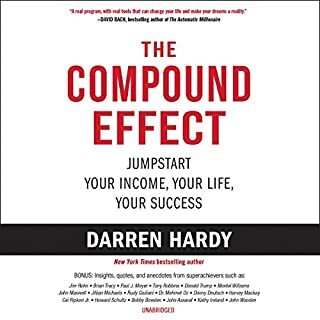 If you want to know how to get lots of money quick so that you can go buy lots of status toys, this is not the book for you. 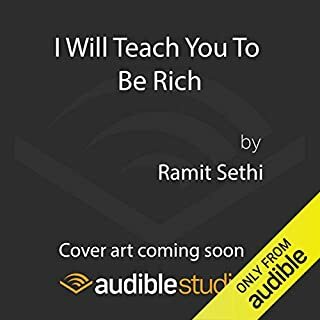 This book is about acquiring and keeping wealth, regardless of your income, so that you can live well and retire well. Flashy toys will only keep you from that goal. This book details the startling results of a comprehensive study on the wealthy in America. 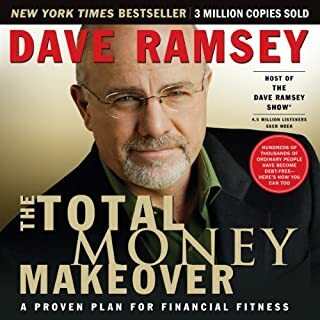 The authors fully explain key concepts about wealth-building that will help the listener identify and change their own bad financial habits. Examples: the difference between "high-income earners" and "the rich"; who the wealthy really are; the characteristics of people who are accomplished accumulators of wealth, usually with very moderate incomes; the self-destructive behaviors of people who earn high-incomes that prevent them from accumulating wealth; what to teach your children about wealth; how the wealthy plan the transfer of their wealth to their children and grandchildren. 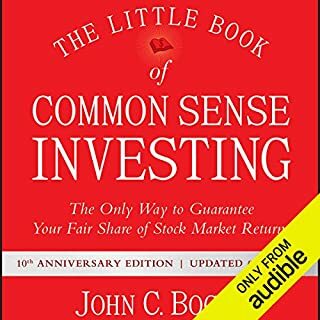 Although long and full of statistical concepts, this book should be required reading for those who truly want to learn how to increase their wealth. There's no theoretical fluff, multi-level marketing promotion or vague "Rich Dad" slogans here. Just hard data based on actual American millionaires and how they built their fortunes. To a young adult raised in a family of under-acheivers-of-wealth (UAW's)this book affirms the goals, techiniques, and saving strategies my husband and I have begun implementing in our life together. It is such a relief to hear statistical support for the benefits of saving, investing, and living below one's means. In a nation of UAW's, it is not often one comes across positive feedback for living frugally. I have watched friends, family members, and co-workers squander the income they earn, rack up high debt, and plan for the spenditure of income increases in the future. I will listen to this book again and again. I loved it, so much in fact that I just finished "The Millionaire Mind" as well, which was also great. "Next Door" made me see the light as far as why most people don't have anything but toys & debt, and that expensive houses, new cars and fine clothes do not a rich man make, nor will they ever. Living below your means and being frugal is the key if you have good income such as a small business. Do not follow the crowds, or the hot trends, do the opposite. Much better said by he than me of course. It is not a dot-to-dot recipe for wealth, just eye opening insight based on years of research and interviews, much of which is the opposite of what you'd think. Get it!! Great content, but some topics dragged out too long. As someone with a degree in economics, I found "The Millionaire Next Door" very interesting with its various methods of evaluating how the 'wealthy' behave. The book provides some great examples of varying perceptions of utility. In fact I have used the buying cars by the pound example more than a few times. Not suprisingly, the vast majority of the millionaires studies subscribe (perhaps unwittingly) to the bathtub theory of economics... make sure that more money is coming in than going out. Unfortunately not enough people follow this sound piece of advice. As an entepreneur the study of the small business owners were fascinating. I'm still reeling from the fact that scrap metal is the number one producer of millionaires in this country. I passionately recommend this book to anyone that is looking to start their own business. I know that I wish I had read it much sooner than I did.